Our asset intelligence is grounded in our storied history as merchants and operators. We have run both the day-today operations of large retail businesses and facilitated the largest liquidations in recent history. This background gives us unique insight into the true, underlying value of retail consumer goods – particularly those in distressed environments. Leveraging our global network of asset-class specific experts, we offer our partners access to our unmatched base of knowledge and experience, our proprietary database of liquidation recovery values, and an extremely precise methodology. Well after the completion of the appraisal itself, we continue to monitor the company and collateral. Importantly, Tiger will often conduct retail appraisals on an equity bid basis, reflecting our willingness to provide an immediate cash guarantee on the value of the consumer goods we appraise. The result is the most definitive, accurate appraisal in today’s financial marketplace. 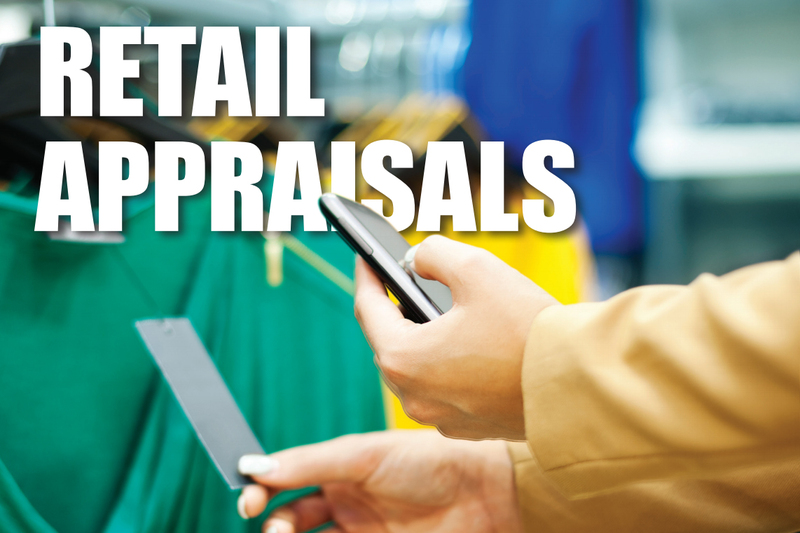 Tiger’s retail appraisals are driven by data of recovery values historically achieved, at the store level, in past liquidations. The model for determining Net Orderly Liquidation Value (NOLV) is built by viewing this disposition history through the lens of current industry conditions, then coupling this with hard data on the company being assessed. Physical site visits by our analysts and a thorough analysis of a company’s operating metrics determines Gross Recovery (GOLV). GOLV less disposition expenses determines NOLV. Assessing net sales calls for breaking down the mix and determining those staple departments that drive sales, including factors outside of store-level inventory such as web, service, and non-merchandise sales. When analyzing gross margin, those costs that are being capitalized in COGS, and thereby driving profitability, are identified, as are pockets of under-performing, older or seasonal inventory that will not turn and need constant monitoring. Finally, the average discount can have significant influence on gross recoveries as customers may be conditioned to expect continual markdowns. This, in turn, can negatively affect disposition sale discount cadences. When operating metrics are coupled with the knowledge gained through the physical inspection of goods, indiustry rends and database of past recoveries, Tiger professionals then determine the gross recovery – or the INVERSE of the average discount used to monetize eligible inventory, blended from the opening to the closing days of a sale. Eligible inventory is tied to the general ledger and lender’s security requirements. Therefore, NOLV may not deem certain assets eligible, such as displays, parts and incomplete sets. The aging and seasonality of assets also play a key role in determining gross recoveries. In formulating NOLV, the Sales Mulitiplier in a disposition event must next be determined. The multiplier is the percentage of sales volume that can be achieved over last year’s comp sales during the same (calendar) time span. 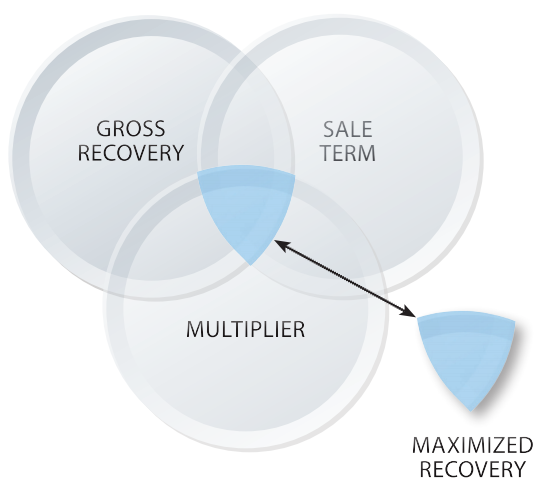 Since the multiplier will fluctuate depending on the length of the sale term, Tiger Valuations formulates the ideal mix of gross recovery, sale term and multiplier to achieve the highest possible recovery on the assets being analyzed. To arrive at this ‘sweet spot’, Tiger leverages our proprietary database of Net Orderly Liquidation Values, which combines advanced algorithms with recovery data gleamed from our store-level supervision of thousands of disposition events. Additional collateral that may factored into a Tiger retail appraisal include balance sheet cash, accounts receivable, real estate, intellectual property, FF&E, and in-transit or on-order stock. Other issues that can affect NOLV include exclusions such as inventory from locations that are in the process of closing or sold through ecommerce or catalogue channels, exposure to gift card and awards program liabilities, merchandise returns and limitations in POS systems. Every project presents a unique set of market circumstances, and sales channels, in which assets can be converted to capital. That’s why Tiger eschews templates. We’re never happy taking just one look at a problem – so we take a second, third, and fourth. The result is the industy-defining asset appraisal in today’s market.